The climate of Gegharkunik is mild mountainous. The winter is cold, snowy. The summer is warm, few clouds, comparatively humid weather. The Sevan Lake mitigates the winter frost and summer heat. Because of the lake, the average temperature in January is alsmost the same as in Yerevan. Precipitation is not abundant, 400-450mm on the lake surface, up to 1000 in the mountains. The Lake Sevan (1260 km2, is 1898m above sea level ) is located in RA Gegharkunik marz, which is of particular importance not only for the marz but for the republic as well. It is the largest pool of fresh water of the Southern Caucasus. The lake has vital influence not only on balance of environment protection but on economy of the whole marz as well. Other lakes are comparatively small lakes of crater lakes of Ajdahak and Aghmaghani, - up to 50 m in diameter and at a depth of 15 m.
The longest rivers Gavaraget (47 km) and Masrik (45 km) are the longest rivers. Masrik is of great importance, since its a spawning place for such endemic species as Gegharkunik trout (Salmo ishchan gegarkuni), Sevan koghak (Capoeta capoeta sevangi ) and Sevan beghlu (Barbus geokschaikus). Besides, the young fish of the aforementioned species also live in these rivers till 1 year of age. This period is very important for the future survival of the species. The Sevan trout (Salmo ischchan) and Sevan beghlu are included in the Red Book of Armenia. "Sevan" national park was established to protect Lake Sevan, is located in the territory of the marz (founded in 1978). It occupies the territories of the Lake Sevan comprising the bed of intermontane concavity of Sevan and those freed from its bed. The surface area comprises 150.1 ths. ha, 24.9 ths. ha of which are lakeside land territories. It is surrounded with the slopes of mountain chains of Areguni, Geghama, Vardenis, Pambak and Sevan. The species of 1600 plants and 330 animals are preserved here. The park is divided into 3 zones: a reserve, a recreation zone and a zone for economic use. 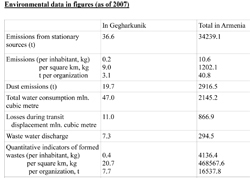 Scientific knowledge about the mammals of the Sevan basin is quite poor and fragmental. Wolf, jackal, fox, marten, cat, hare, small rodents are usually mentioned. Sevan lake and its vicinities are rich in avifauna. Up to 267 bird species are registered in Sevan Basin. The existing avifauna can be grouped into podicipediformes, pelecaniformes, pelecaniformes, phoenicopteriformes, falconiformes, anseriformes, galliformes, gruiformes, charadriiformes, columbiformes, cuculiformes, strigiformes, caprimulgiformes, apodiformes, coraciiformes, piciformes, passeriformes. 39 species are included in the Red Book of Armenia. 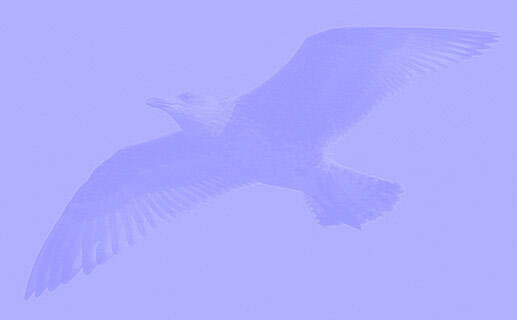 There is also an endemic species Armenian gull (Larus armenicus). In the Masrik river valley, the following species of reptiles can be met: Bufo viridis Laurenti, Hyla arborea schelkownikowi, Rana ridibunda, Rana macrocnemis, Laudakia caucasia, Anguis Fragilis, Eremias arguta transcaucasica, Lacerta agilis brevicaudata, Lacerta strigata, Parvilacerta parva, Darevskia unsexualis, Darevskia valentini, Platiceps najadum, Hammerhois ravergieri, Coronella austriaca, Eirenis punctatolineatus, Natrix natrix, Natrix tesselata, Vipera (Pelias) eriwanensis. On the whole territory of Gegharkunik there are 55 groups of invertebrates, mainly arthropoda, mollusks, crustacea, arachnida, etc. There are a few dozens of endemic species, of which 44 coleoptera, 2 lepidoptera, 2 оrthoptera, 2 mollusks. There is no Red Book in Armenia for the invertebrates. In the Red Book of the USSR, there were 12 species of arthropoda, of which 6 butterflies, 5 hymenoptera and 1 cricket. In the MCOP Red List, there are 4 invertebrate species, inhabiting Sevan Basin, on of which is included in the list of Convention on the Conservation of European Wildlife and Natural Habitats (Bern Convention). Main environmental concerns include issues of Lake Sevan (reduced water level, increased eutrophication, detrimental impact of human activity on the biodiversity of the lake), wastewater treatment as well as mining activities. water was used for irrigation and 6 hydropower stations began to produce electricity. River to the Arpa River and then to Lake Sevan will bring a second 22 km long tunnel. The	construction of Vorotan-Arpa tunnel expected to be fully completed in 2004. For preservation, sensible use and reproduction of natural resources of Lake Sevan, the National Park has been established in 1978. The area was designated as a Ramsar site on July 6, 1993. Red Data Book of Armenia, 1 is endemic, 83 are included in the Agreement on the Conservation	of African-Eurasian Migratory Waterbirds of the Convention on the Conservation of Migratory	Species of Wild Animals), 36 species of mammals (8 are in the Red Data Book of Armenia). 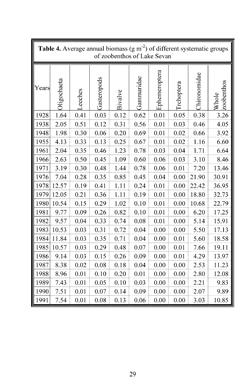 All native fish species, Ishkhan (Salmo ischchan), Sevan Barbel (Barbus goktschaikus), Sevan	Koghak (Varicorhinus capoeta sevangi) are in decline. Of them famous endemic Ishkhan (Salmo	ischchan) (prince in Armenian) now is at the edge of extinction. Amphibians are abundant everywhere, where small ponds, pools and puddles are available. The herpetofauna is more abundant on the northeastern shore of the lake and only grass-snakes	(Natrix natrix, and N. tesselata) are common everywhere. abundant at present. Estimated quantity of Eurasian Coot is 6,000, Mallard - 5,000, Armenian	Gull - 16,000 individuals during the year. The lake is important passage for migratory birds,	especially in October-December (before ice cover). Such a rare birds as Great Egret	(Casmerodius albus), Glossy Ibis (Plegadis falcinellus), Mute Swan (Cygnus olor), Whooper	Swan (C. cygnus), Demoiselle Crane (Grus vigro) are registered here regularly during the	migrations. Lake Sevan is important resting and wintering site for migratory waterfowl. Half	century ago the area had been well known as the greatest inland breeding area for waterfowl	between Black Sea and Caspian Lake. Due to the water-level drop and draining of most of	wetlands the role of the site as a breeding area at present is much lower. since the 1990's became subject of commercial fishery and export abroad, including European Community. Larus armenicus adult February 09 2011 Maagan Michael, Israel. Picture: Amir Ben Dov. Larus armenicus adult February 04 2011 Ashdod, Israel. Picture: Amir Ben Dov. Larus armenicus adult February 18 2012 Ramat Gan safari, Israel. Picture: Amir Ben Dov.